Poplar Healthcare » Patrick J. Dean, M.D. 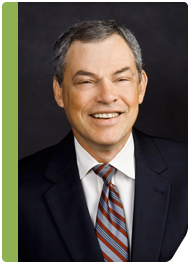 Dr. Dean co-founded Poplar Healthcare in 1995 and served as the company’s President until 2008. Under his leadership as President, the company achieved 13 consecutive years of growth. Additionally, Dr. Dean has nearly 30 years experience as a leading gastrointestinal pathologist. As Chairman of Poplar Healthcare, Dr. Dean’s experience and expertise is continually called upon as the organization branches out into other areas of medicine. A native of New York, Dr. Dean earned his medical degree from Georgetown University School of Medicine. Following residencies at Georgetown Hospital and New England Deaconess Hospital in Boston, Dr. Dean was recruited to Baptist Memorial Hospital in Memphis, Tennessee by Dr. Rodger C. Haggitt. In 1983, when Dr. Haggitt transferred to the University of Washington, Dr. Dean assumed the leadership position in gastrointestinal pathology for the Memphis gastrointestinal community. With numerous publications in the pathology and gastroenterology literature and testimony before Congress, Dr. Dean has provided the medical community with a rich legacy. He holds memberships in the AGA, ACG, AASLD, GIPS, USCAP, CAP and other societies.